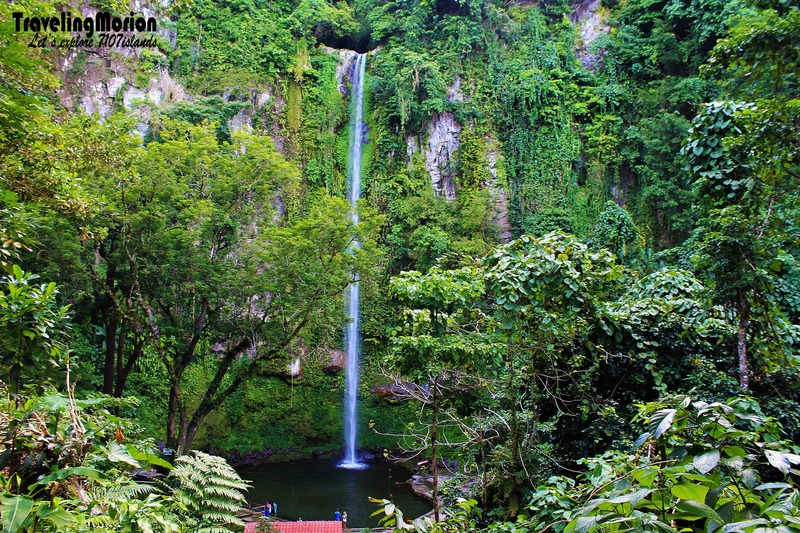 Katibawasan Falls is one of Camiguin Island's gems. It measures 250 feet which cascades to a natural rock pool with green and ice cold water surrounded by local species of trees, orchids, and wild ferns. 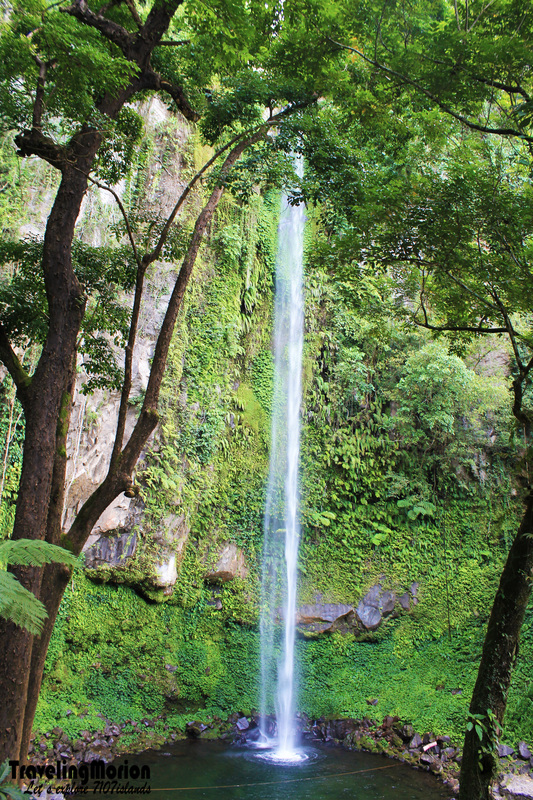 I had the chance to visit Camiguin's interesting spots including Katibawasan Falls during my 3 days stay there. The island province is Philippines’ second smallest in terms of land area and population but “Big and Giant” in terms of tourism. Interestingly, you can explore the whole province in just one day! From downtown Mambajao, hire a habal-habal/multicab. Tell the driver that you’re going to Katibawasan Falls. 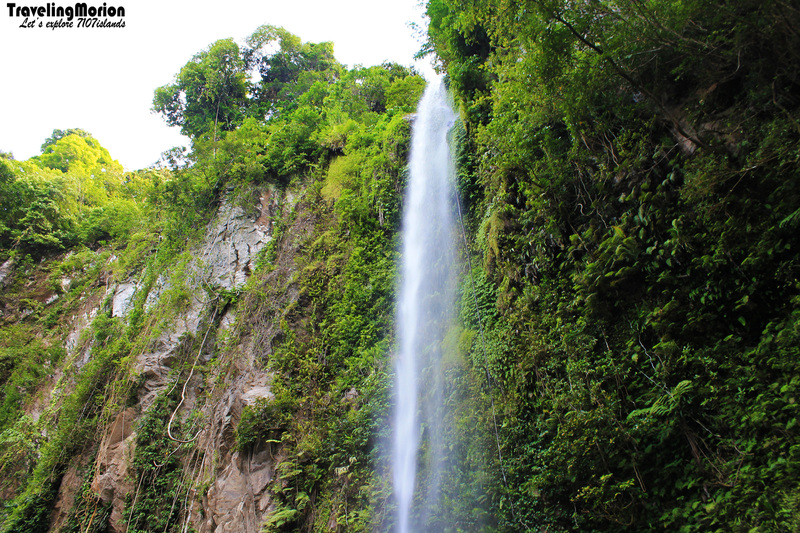 The waterfall is located five kilometers southeast of Mambajao- 5-10 minutes travel. The area is maintained by the provincial government so expect minimal fees. You only have to pay an entrance fee of P20 (adult) | P5 (children) | P10 (student) to be able to see and experience Katibawasan Falls. Picnic tables, seats, and picnic facilities are available for use. The surrounding nature, its ice cold water and refreshing splash are enough reasons to tag this spot as one of the country perfect summer destinations. Visit to Katibawasan Falls is incomplete without trying “kiping”. Available at the food stalls near the entrance going to the waterfall, it is a local delicacy made from ground kamoteng kahoy (cassava), sun-dried then fried and served with latik or sweet sauce made from coconut. Here’s the detailed TRAVEL GUIDE to Camiguin Province. 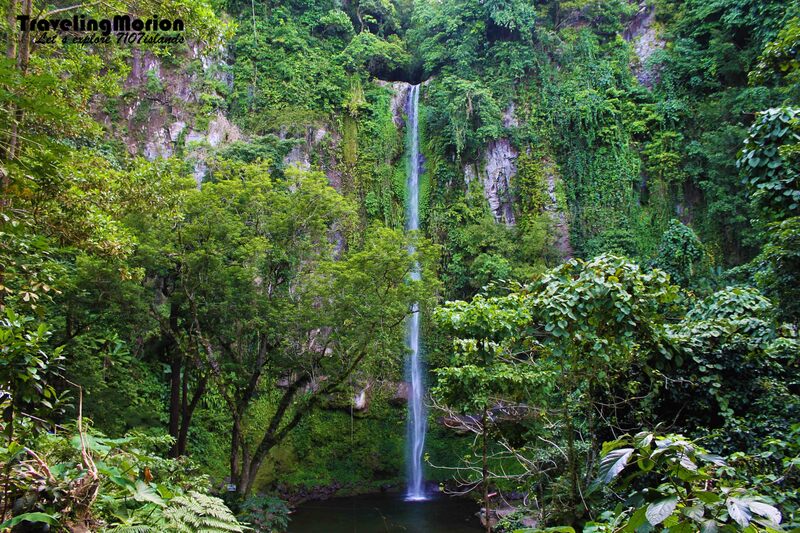 Plan your trip now going to the Island born of Fire and don’t forget to include Katibawasan Falls on your itinerary! I'm using Canon at talagang maganda yung subject :) Thanks for dropping here bro! There are so many beautiful tourist spots in the Philippines that I have yet to see and this is one of them. That's a nice Falls in Philippines. I just wish I have a chance toe explore my own country. I have memories of these falls before, my former company went to camiguin for a 4 days retreat and we actually went to see this place. amazing! Awesome shot bro. Lumabas ang true beauty of the falls. Seems masarap mag dip sa water nya. 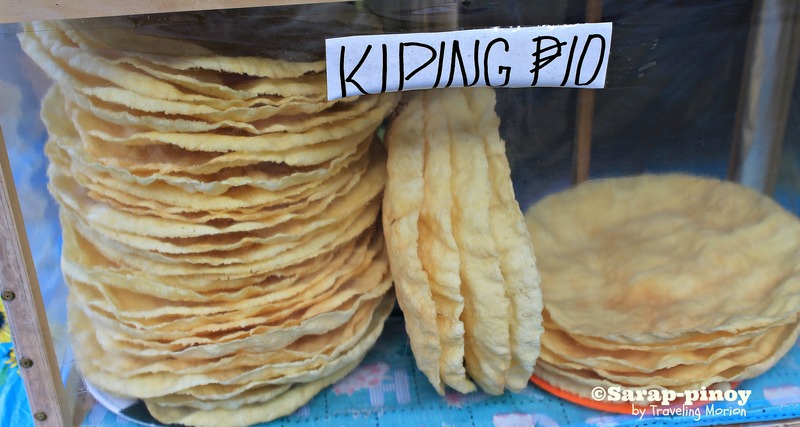 Kiping, parang alam ko itong delicacy ito. Beautiful captures! I hope to visit Camiguin again someday! And that kiping-- whoa!? Nakaka-miss! That used to be my all-time fave back then! I am looking or search from the Net where I can find Camiguin Province for I am not really familiar with this place. Though I have heard about it but I couldn't exactly pinpoint where it is. Then I found it somewhere in Mindanao, a smallest province in the Philippines, but rich with amazing natural beauty spots. The falls is really breath-taking. As I look at it in your picture, I have several things in mind... yes it is really amazing panoramic view. Camiguin is really rich in natural attraction which makes it one of my dream location. I would like to try the Kiping. I think it's quite unique because it's not sold anywhere here in the metro. That Falls is so inviting. I will put this in my list. Camiguin is one of the first places I had on my bucket list...a classmate of mine was the Governor's daughter (don't know if it's still him) and she talked nothing but praises about Camiguin...this is one of the lovely spots I think worth seeing! lovely as always! Wow! Such a beautiful place to go to.By the way, those kiping looks delicious. i only see this beautiful falls in postcards + i really wish to see its grandeur, up-close. hopefully i will get the chance to do it one day! kiping is something i have not tried either, so that is another new experience i look forward to when i visit the paradise island of Camiguin!